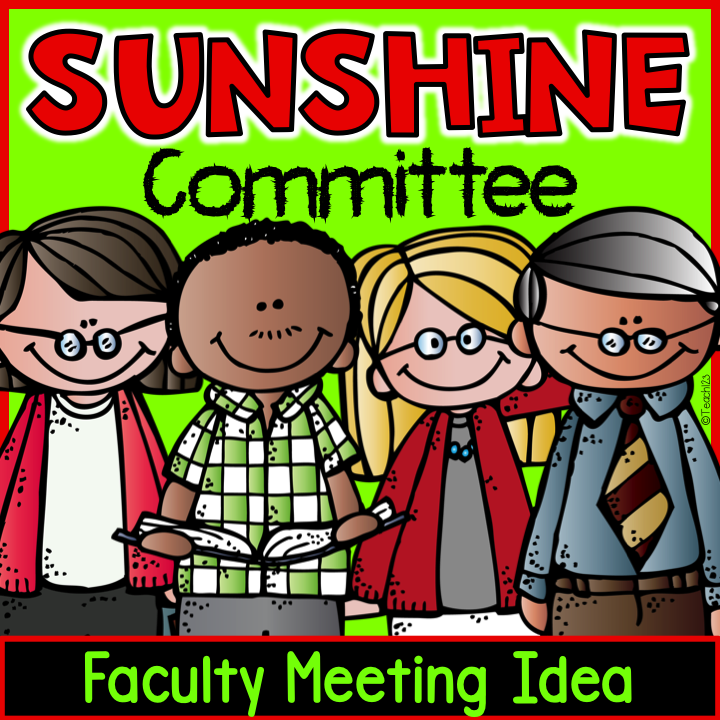 Are you on the Sunshine Committee this year? Looking for school climate, faculty appreciation, or school climate ideas? All employees’ names were put in the box. Everyone who paid dues name was put in the box (because we used funds from the sunshine committee to purchase some of the prizes). This included administrator, classified staff, and certified staff. Most of our classified staff attended the first 15 minutes of the meeting. Some staff members had parent pickup duty or were answering the phones. Winners must be present to win, except for classified staff that had duty. We put the names of the winners who weren’t there back in the box so they had a chance to win another day. The exception was the staff members on duty. They chose their prize after duty. Winners’ names were not put back in the box. Winners could only win once. 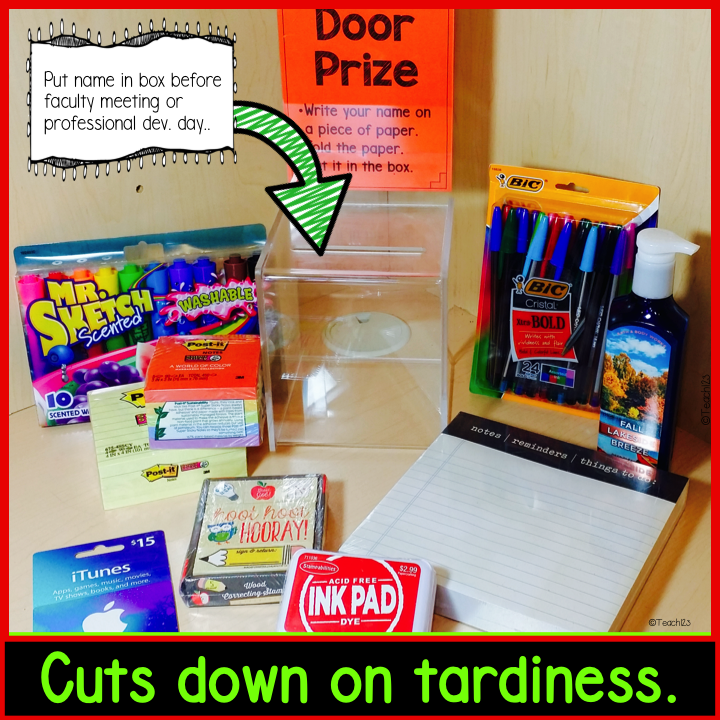 It was amazing how staff members were suddenly arriving on time for faculty meetings! We always did the drawing the first fifteen minutes when the classified staff was there so we could focus on what our administrator needed to tell us afterwards. There seemed to be less “venting” since people we chatting about what that week’s prizes. The magic of 2-3 prizes a week brought little rays of sunshine to our school. You can get gifts from a variety of sources. I called and visited local business. Some of them were willing to donate gift cards. Make sure you tax your tax-exempt form when you visit them along with a thank you of donation that you can give for tax purposes. Your P.T.A. might be willing to support this activity. Does your sunshine committee have extra money in its budget? 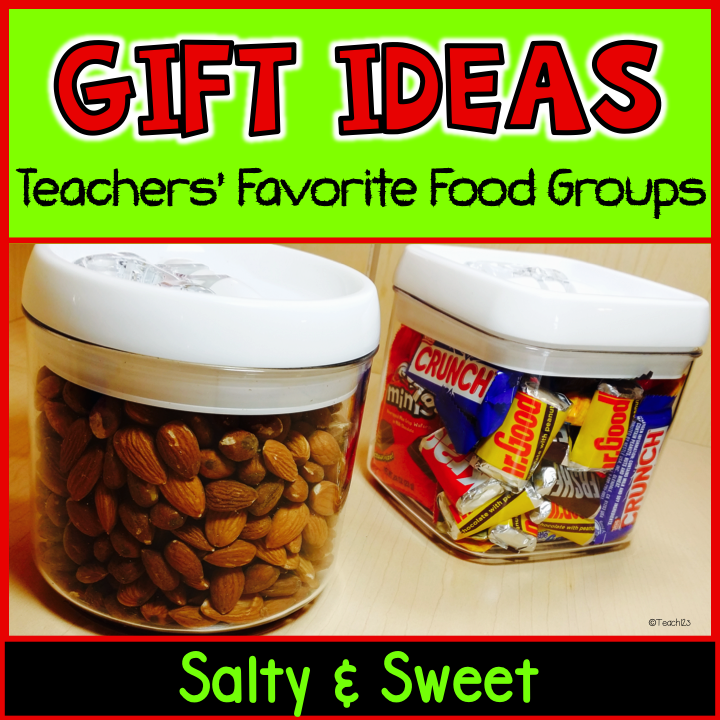 You can buy inexpensive gifts that teachers will love. With the exception of the iTunes gift cards, all of the other prizes cost less than $5 on sale. What does your sunshine committee do?